Bernard DeVoto, American historian and author sure had a lot to say about booze in The Hour, first published in 1948, to wit: “This is the violet hour, the hour of flush and wonder, when affections glow and valor is reborn, when the shadows deepen magically along the edge of the forest and we believe that, if we watch carefully, at any moment we may see a unicorn." For all I know, the hiccup of DeVoto's reverie may have been caused by one of the nearly indecent cocktails that used to materialize at Elettaria during their Violet Hour, the happy hour, when the highly skilled bartenders would stir, shake, rattle and roll with a fine precision that did indeed raise the spirits. The prices of certain drinks may have been slashed in half but I assure you, the liquor was in full battle, armed to the teeth. Case in point: the Zombie Punch (1934) is an elusive, cryptic concoction concerning such things as Appleton’s VX, Brugal gold, 151 El Dorado Demerara Rums, Lime, Velvet Falernum, and Absinthe 14. After taking a bracing plunge into two once on a visit, I seem to remember having at least seen several unicorns, if not in fact the great Ark that left them behind, once upon a time. Can we all give three cheers, while waving aside that seemingly unending blanket of rain and finally welcome in the new season? I find this to be a wonderful salad for summer, incorporating the freshest vegetables available with the best herbs; it’s not just a usual slaw. Simply toss the ingredients together and bring to your next BBQ or an afternoon picnic in the park! Add the dressing into the mix just before serving so it doesn’t become as soggy as the spring that we endured. And do plan ahead for any number of invitations from those offering to help toss your salad! The New York Food & Wine Festival's recent Meatball Madness extravaganza was long overdue. One should always laud a momentous meatball. Earlier, I posted a recipe for Grilled Meatball Subs with ground beef--and here's another one for Mouthwatering Meatballs! Baby and I made them with the classic combination of ground beef, veal, and pork; not only are they simply fantastic with a good amount of cheese, but better still, they pay homage to the great lady who made them in the first place. "Marian Curcio was a unique woman, ahead of her time in her thinking and a most loving mother that anyone would envy. Born in Brooklyn, the oldest of 7, she took on the task of raising her younger siblings when her father died at the age of 49. She was everyone’s caretaker and never complained. Her beauty was timeless and her heart, pure gold. Her style of cooking is from Calabria, Italy. She was a great cook and baker. People flocked to her house knowing they would have a wonderful meal. She had the ability to make complex meals appear to be simple and make all meals very special. When Marian met her husband, they worked for the same company and at lunch one day he asked her friend what her name was. Her friend replied, 'She’s Marian' which he misheard as 'She’s married' so he didn’t pursue asking her out. After a few months, he happened to see her sitting alone and sat next to her. He asked if she had any children and she told him she wasn’t married, so why would he ask that question? When the mix-up was discovered, they both had a good laugh, and well…the rest is a wonderful history." Combine all ingredients in bowl, and mix thoroughly with your hands or with a spoon. When completed if mixture is too dense add water to thin, until you feel that the consistency is firm but moist. Roll meat in your hands using a circular motion. Each meatball should be the size of a golf ball or slightly larger. In a non-stick skillet heat some extra virgin olive oil using a medium heat...Place enough meatballs to fill the pan and brown on all sides. Do not overcook......Place browned meatballs onto paper towels to absorb excess oil. Then add them to your sauce/gravy. Thanks Marian, and of course, Pat! Click here for a great Oven-Roasted Tomato Sauce from cuisineathome.com! Frankly the whole thing started because I needed more stuff to put in the dishwasher for a full load and thought that the various pots, pans and sundries needed for these brownies would do. You see, Saveur magazine still writes me daily, I swear they do, inviting me to tag along for another year. After 15 years of being a faithful subscriber, you'd think their earnestness might abate. Enclosed in a recent missive, they included a FREE Recipe from Saveur: Boston Cooking School Brownies. It so happened I had an afternoon with some time on my hands and as I was feeling a bit peckish for something sweet, had all of the ingredients on hand, needed to fill my dishwasher, and am a New England boy after all, I set out to make the luxurious recipe, "originally published in Fannie Merritt Farmer's The Boston Cooking-School Cook Book (Little, Brown, 1911)." I have to confess, I don't bake much and I don't know if you do--but whoever is responsible when it comes to it, good heavens, doesn't the rapturous mix of sugar, chocolate, eggs, flour or what have you just flood the entire house with flavored memories of childhood, a sense of comfort, a collection of holidays, and sheer, plain delight once everything begins to conspire in the oven? Before I go into the recipe though, I'd like to talk a bit about butter too. Europeans have it all wrapped up, as far as I'm concerned. If you can cut back here and there on something else, splurge on the best butter you can find. Butter from Europe indeed makes an utterly creamy world of difference. My comments on the recipe are in italics, below. 1. Heat oven to 325°. Grease an 8" x 8" baking pan with butter. Line the pan with parchment paper; grease the paper. Set pan aside. 3. Pour batter into baking pan and spread evenly. Bake for about 60 minutes or until a toothpick inserted into the center comes out clean. 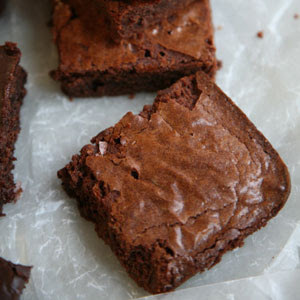 Let brownies cool for at least 2 hours. Cut and serve. If you read Scrambled Eggs here on my blog or if we have ever talked about my childhood, Disappearing Marshmallow Brownies have inevitably come up. My cousin, the Julia Child of my hometown, used to make them. Suffice it to say, she was a tough teacher. Although I have met with some success when making these brownies over the years, in comparison to what I remember her making, I invariably end up with Disappointing Marshmallow Brownies. I humbly suggest the recipe here, that she hand wrote and sent to me 10 years ago, tucked in the pages of her copy of Secrets of Better Cooking from Reader's Digest, published in 1973. 1. In a large sauce pan (heavy bottom) over low heat, melt butter and butterscotch bits. Stir constantly with a wooden spoon. Set aside to cool. 2. On a paper towel, using regular knife blend flour, brown sugar + baking powder. Add butterscotch mix + flour mix. Stir until smooth. 3. Add eggs + vanilla. Stir until smooth. Add the marshmallow, chocolate bits and nuts - stir just to blend all ingredients (Do not heat). Chocolate bits may melt some. 4. Spread in a greased 9 x 13 pan. Let it bake 20 min. Take a table knife + insert in middle. If if is sort of jiggerly take from oven. Becomes firm as it cools. When cutting do not drag knife through it - work knife up + down. Yes, life is like that, isn't it? Our mothers are our hearts. They carried us, gave birth to us for goodness sake, and in our lives, do the best they know how, influencing us more than we can ever know. I hope the moments collected here will encourage and linger about you, in tribute to the most remarkable women, as we celebrate the recipes of our mothers. 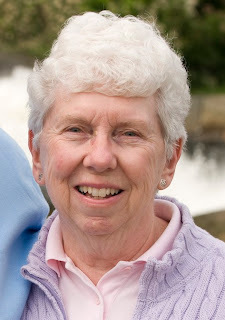 My mother just recently ushered in her 75th year. When I was a baby, and we were all considerably younger, she wasn’t simply a stay-at-home Mom, she was a part of a growing force back in the late 60’s and early 70’s: the work-at-home Mom. She would occasionally have my beloved Nana next door look after me when the need arose but otherwise, she and my father made a wonderful childhood for me and my older brothers, while together my parents continued to make a living for all of us. In time, I did return the favor when it came to care-giving. I was only about 4 or 5 years old when my Mom fell and broke her ankle on the ice in the driveway and was laid up for weeks. I didn’t leave her side for a minute. Mostly I remember that I read her stories as she reclined in the living room, but when she’d nap some afternoons, curious, flibbertigibbety child that I was, I’d seize the opportunity, and fly to the bedroom upstairs to get into her shoes and perfume, the latter of which would wake her as the eau de Jean Nate After-Bath Splash wafted down the stair case. “Peter!” I’d hear her cry, unexpectedly roused. “What on earth are you doing up there?” I didn't know how to answer. I was just a kid for goodness sake. Aw, Mom, I love you. And I love your Macaroni & Cheese. Preheat broiler and start boiling a pot of water. Melt butter in a sauce pan, add flour slowly and then incorporate milk, all the while stirring to make the roux. Cook macaroni at the same time (about 8 minutes or so after water boils). Drain macaroni and quickly mix together with the roux, while both are still hot. In a lightly buttered oven-safe casserole or souffle dish, layer half of the macaroni with a layer of cheese on top, then add the rest of the macaroni with more cheese on top of that. Sprinkle with Italian bread crumbs. Put in the oven under the broiler until bubbly. It's so much quicker that way, as everything is already cooked. 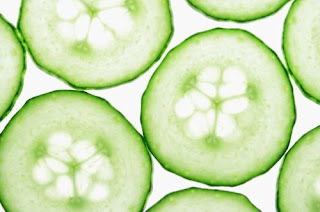 Add salt and pepper to taste, if you wish, and enjoy! Because of the incessant rain and generally miserable inclement conditions, my annual summer trip to our place in Friendship, Maine (the family manse, a modest affair we've had for 30 years now, that we refer to as 'the camp') was beset with several difficulties, and favorite things that I always enjoy had to be put aside for another time: The Old Man (a ripe 82 years) couldn't dig for fresh clams due to the deluge; there was to be no kayaking unless we were in full water-rafting gear as if poised to shoot the rapids; and our happy hour cocktails during the wondrous sunsets on the deck were dampened at best, to say the least, even though I had bought a vintage Hawaiian shirt specifically that I figured would be just perfect for our summer ritual, scored by the lush, cocktail arrangements on Mr. Henry Mancini's Martinis with Mancini album. But we made do, as one does when one must, and while we weathered the storm, the martinis and lobsters still tasted pretty good. And besides, we were roughing it. Ayups. Meanwhile, melt at least several sticks of butter for dipping. Our neighbor had brought over a copy of The Joy of Cooking as a gift and while leafing through the pages after dinner, I found a Lobster Bisque recipe and went to work. We didn't have all of the ingredients on hand that the recipe required so I did what I could with what was available and delighted in the casual nature of making my own Friendship Bisque. I fished out the best shells from our lobsters, the larger claws, and tails, the bodies still full of tomalley, for more flavor, and cooked them down, back in the boiling water with another cup or two of fresh water, onions, celery, dried parsley, and a chopped tomato. Three capfuls of white vermouth went in as well, all simmering for well over an hour. I strained everything out eventually. Click here for more stock ideas. As I didn't have any heavy cream, as the recipe suggests, I whisked in perhaps a little more than 1/4 cup butter, mashed with dried tarragon, to make up for the absence of bay leaves, cloves, and nutmeg that are also suggested. cooled, it went into the refrigerator. The next day, I patiently simmered my concoction against a backdrop of rain*, as it reduced somewhat, turned a rich chestnut brown and became an elegantly shimmering, subtle bisque. I would have liked a fine mesh seive to remove the white bits that simmered off of the lobster shells and perhaps would have liked to have had a few other ingredients on hand, but I was trying something new, a Friendship Bisque--and as I mentioned before, we were roughing it! 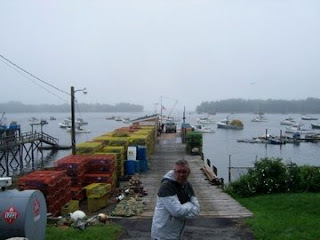 *Honestly, except for a few trips here and there to scenic Camden and then Thomaston to check out the Jail Store, have a few oysters at Billy's Tavern, and later on go to Moody's Diner in Waldoboro for a fried clam roll and a hefty wedge of coconut cream pie, there wasn't much else to do over the rainy days. I did read The Catcher in the Rye though (for the third time, I really did), and obsess over an infuriating Sunday Times crossword puzzle, which I finally finished, along with my leftover coconut cream pie. Finally, it feels as if summer has arrived and it's time for both chillin' and grillin'. These meatballs are awesome and so too, the Smoky Bacon BBQ Sauce. As much as I am completely enthralled by the invention of the Meatball Grill Basket, I don't have a grill and all, so I made the meatballs stovetop (and grilled the onions as well) with my Calphalon grill pan and finished them off in the BBQ sauce. Divine! We felt like baking so we made our own dinner rolls, instead of purchasing the sourdough sandwich rolls that the recipe suggests. It was very easy and well worth the extra time spent on the preparation. Follow that recipe from Cuisine at home - but unless you plan on feeding the entire British Army, cut the recipe in half. Also, I think Pillsbury Grands would work out really well, if you want to start eating sooner. Or just drop the whole idea, and go out and find those store-bought, already made sourdough sandwich rolls! Oh, and throw a really good loaf of French bread into your Cuisinart to use as your bread crumbs (instead of the "crustless white bread"). It'll keep for ages in a Zip-loc bag to use whenever you need. Prepare a medium-hot fire in a grill. In a large bowl, combine the milk and bread and stir until evenly moistened. Set aside. Finely dice half of 1 onion. In a small saucepan over medium-high heat, warm 1 Tbs. of the olive oil. Add the onion and a pinch of salt and cook, stirring occasionally, until the onion is softened, about 6 minutes, reducing the heat as needed to prevent browning. Let cool to room temperature. Add the cooked onion, ground beef, parsley, thyme, the 1 tsp. salt and pepper to the bowl with the bread mixture. Using a spoon or your hands, gently mix just until the ingredients are combined. Spray the wells of a meatball grill basket with nonstick cooking spray. Using about 3 Tbs. of the meat mixture for each meatball, form the mixture into balls in the bottom half of the wells (the side with the handle). Close the lid on the basket. Thinly slice the remaining onions. In a bowl, stir together the onions and the remaining 3 Tbs. olive oil. Transfer the onions to a mesh grill-top fry pan and place on the grill. Cover the grill and cook, stirring occasionally, for 15 minutes. Season the onions with salt and pepper; keep the onions on the grill. Place the meatball basket on the grill. Cover the grill and cook, turning the meatball basket over once, until the meatballs are cooked through, about 14 minutes total. Meanwhile, continue cooking the onions, stirring occasionally, until caramelized. Remove the meatball basket from the grill but keep the onions on the grill. Pour the barbecue sauce into a 5-quart Dutch oven, add the meatballs to the pot and place on the grill. Heat until the sauce is warm, 2 to 3 minutes. Arrange the sandwich rolls, cut side down, on the grill and toast until golden, 2 to 4 minutes. 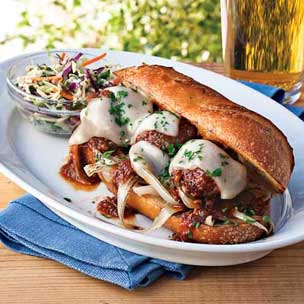 To assemble the sandwiches, layer the onions, meatballs and cheese on the rolls, dividing evenly; spoon on more sauce, if desired. Place the sandwiches on the unheated side of the grill, cover and heat until the cheese is melted, 2 to 4 minutes. Serve immediately. Serves 6.